We went through southern Vermont yesterday and let me tell you, it is absolutely gorgeous! 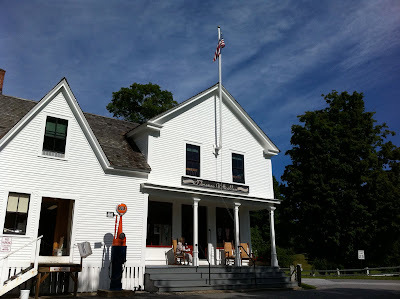 We visited the site of where Calvin Coolidge took the oath of Presidential Office after Harding died (Plymouth Notch, VT) and bought some yummy cheese. Here is my husband Brian by the sign post. 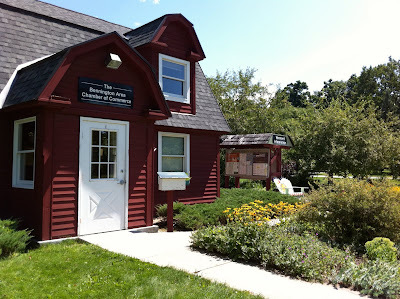 Here is the post office - so cute! 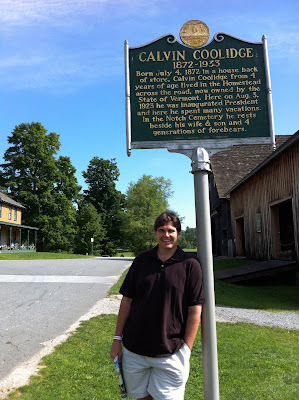 Around the corner is Coolidge's childhood home where his father, a notary public, administered the oath. Apparently, Coolidge was vacationing in Vermont, his home state, when word of Harding's passing came. So, time being of the essence, his dad took on the job of swearing him into the office of the Presidency. Bennington, Vermont was on our route and so we went there next. 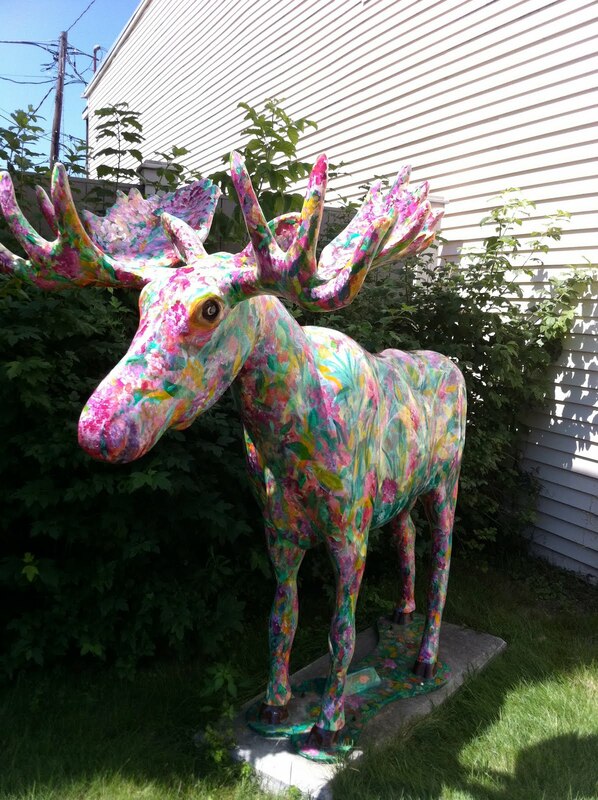 Imagine my surprise when we happened upon these artistic moose! I just loved them and insisted that my husband drive all over town looking for them (yes, he loves me...LOL!). 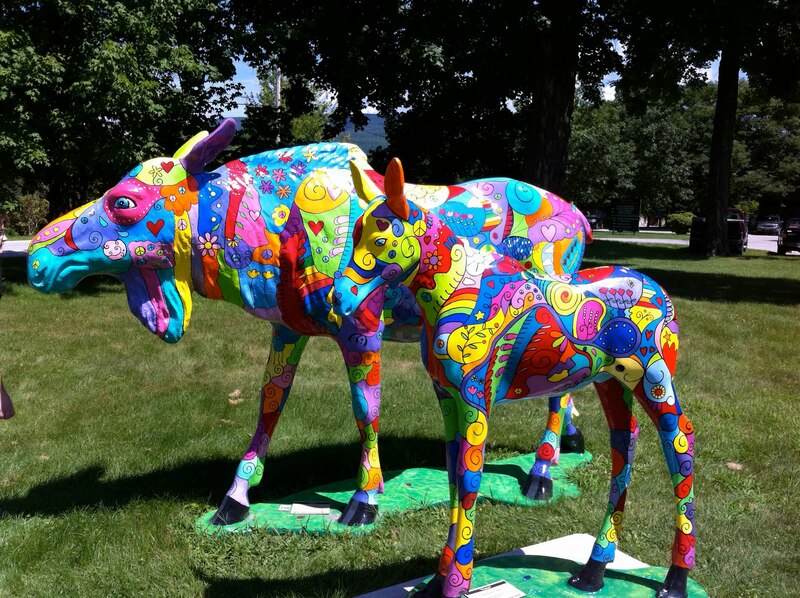 This mother and baby are called Love and Hope and stand outside the Chamber of Commerce building. How cute is this Chamber of Commerce building? This guy is probably my favorite! Moose inside Subaru Dealership - The guys here were so nice! 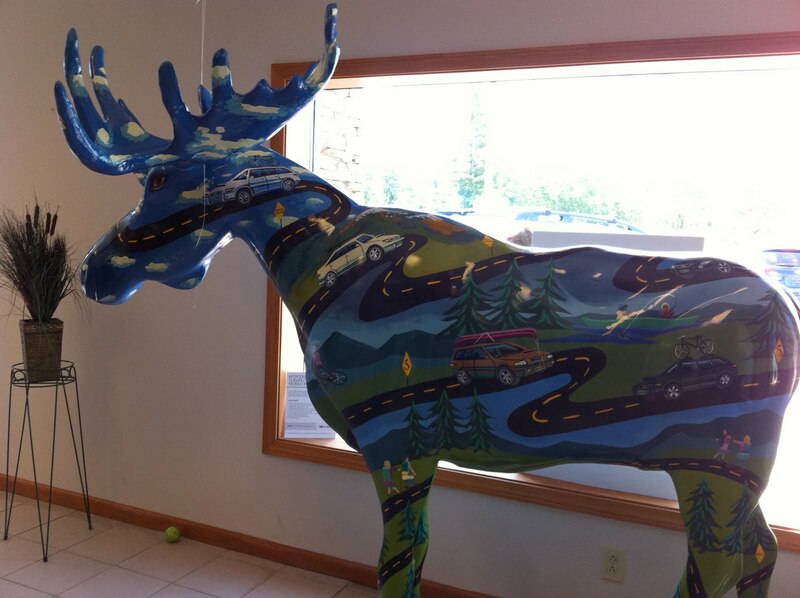 They came out, took a photo with me next to the moose and told me about both moose at the dealership, how they commissioned the inside one and personalized it with their kids' names on the plates, etc. There are even more moose than these shown - this was all my family could tolerate...personally, I could have spent the day looking for them (hee, hee!). 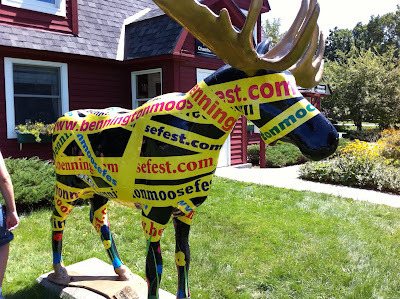 For more info on Moosefest, including maps of the moose, click HERE! More scrapbooking related things tomorrow, I promise! I am sooo jealous! I wish I was there with you! We have artisitc horses here in our hometown in Florida and we drove around taking pictures of all of them a few years ago. I think there must have been about 30 horses. we have statues like that here in Cincinnati of pigs. Those moose looked cool. 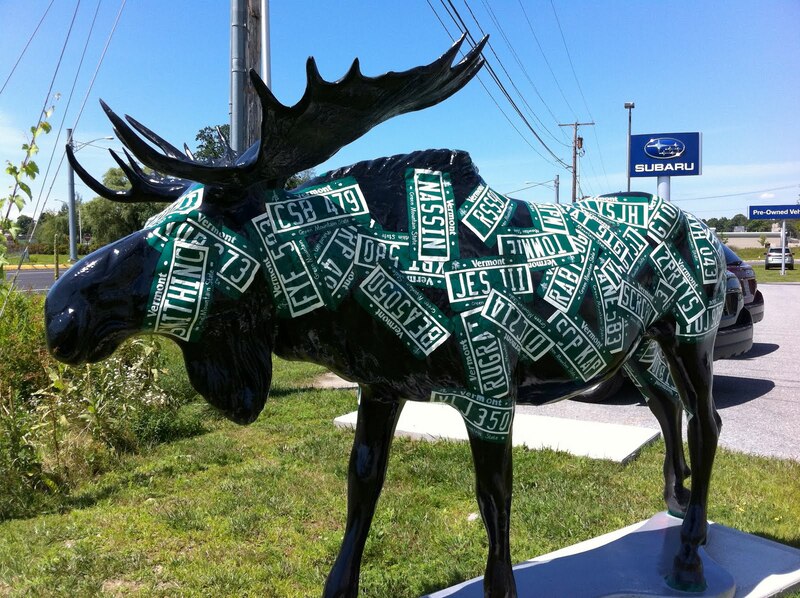 I love the moose pics! I remember seeing a show where an artist was painting the 4 seasons on a moose and it turned out so beautiful. So cool! Very cool. 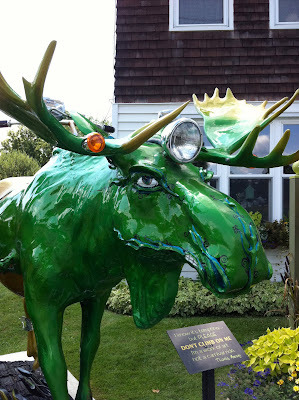 There is a candy shop in Maine that has a massive chocolate moose, if I recall, they call him lenny. Love New England!! 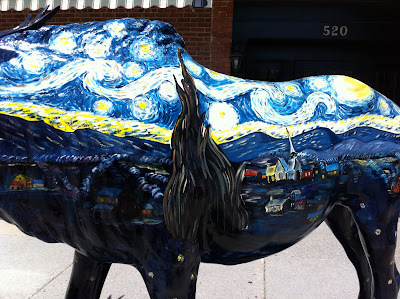 Several years ago I went to visit my brother in Kansas and they had artistic cows in Kansas City. Like you, I had my brother drive all over the city looking for these cows. Didn't get pictures of all but got alot of them. Have fun. WOW! That's awesome! I've seen plenty of real moose but never artistic ones. Isn't that fun? We do that with different animals and they are raffled off for local charities - one of the best things the town does! wow, never thought I'd say it but those are some really cute moose. I love them! Also love that Chamber of Commerce building. It looks so homey and cozy. 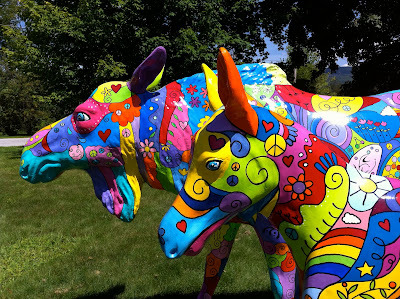 Colorado has artistic cows, They pop up in very unusual places--one even stand in a pasture with a herd of real cattle! Such cute moose! I'm with you I would have wanted to see them all. TFS! 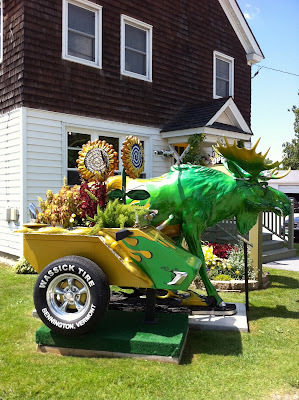 I love those photos, especially the Moose. 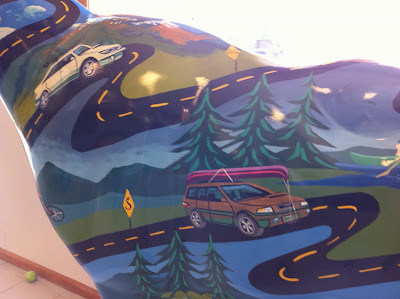 Here in WI we have those, only in Cow form. We did this same trip last year for my b-day in October..............the Autumn colors are phenomenal! Looking at your pictures is a walk down memory lane. So glad to see you are relaxing and having a great time! We were just in Bennibgton this past weekend. I didn't realize there were so many moose to see. My son is beside me and said there was one on the roof of a restaurant that we passed. Should have paid attention! 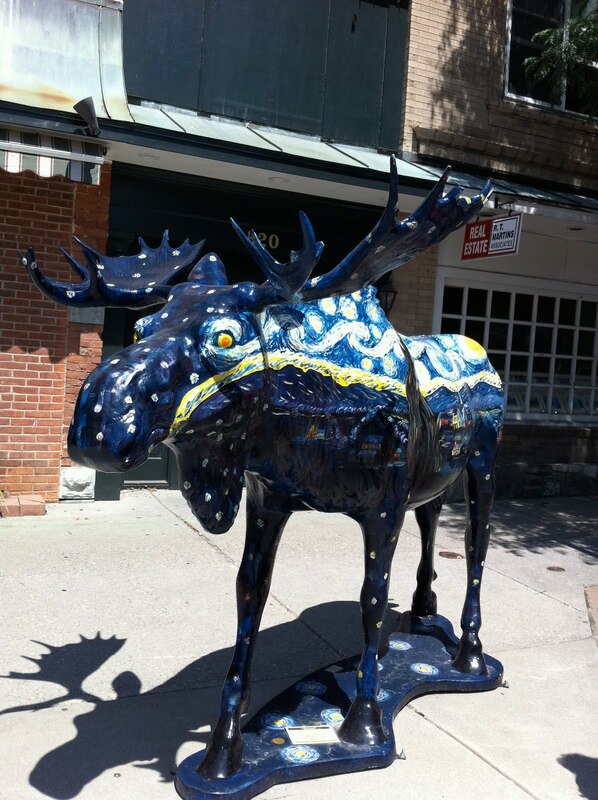 Those moose look so cool. i would love to see them in person, thanks for sharing your vacation pictures with us. Sounds like it's been fabulous there! 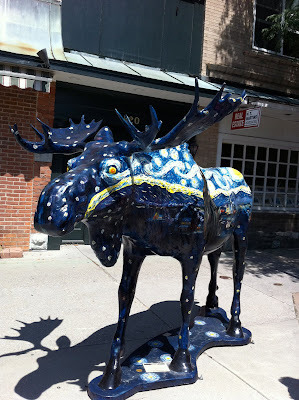 Love the moose, they are all so festive! Bennington is awesome. Did you got to Bennington Pottery? My dishes used to be Bennington. My husband grew up in New hampshire. Also beautiful! I so wish I could go to Vermont. I've only been once and that was about 33 years ago! Looks like a great time. Thanks for the tour! Those are way cool! If you head to Cape Cod, you can look for the whales...fun, fun! Love all the pics of the moose, especially the Dealer-Road Trip one. 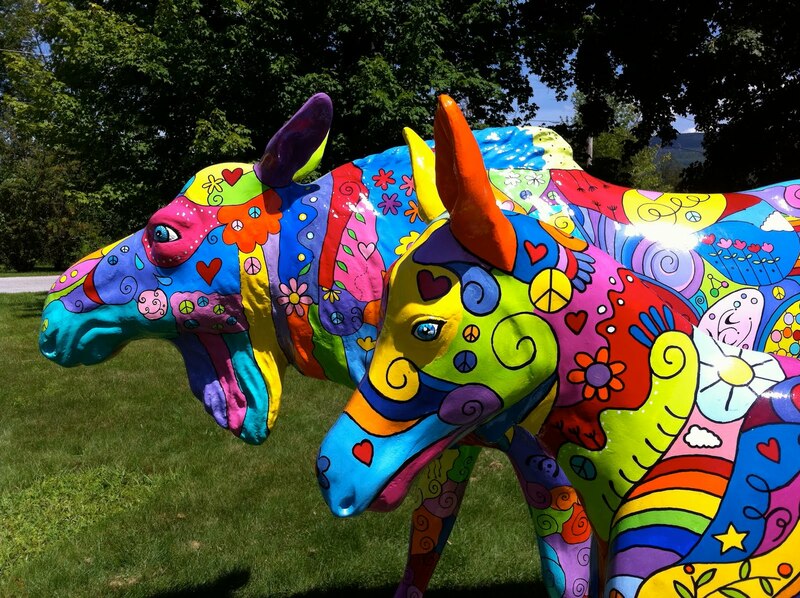 When I lived in Las Vegas they had areas that had the artistic Cows all over, was pretty fun spotting them. And that is so funny that you went to Calvin Coolidge's place where he was sworn in as President, they were just talking about Collidge today on Glenn Beck, what a coinsidence that is! Thanks for sharing your vacation with us that didn't get to go on one this year, LOL. That was a fun pictorial...thanks for sharing! 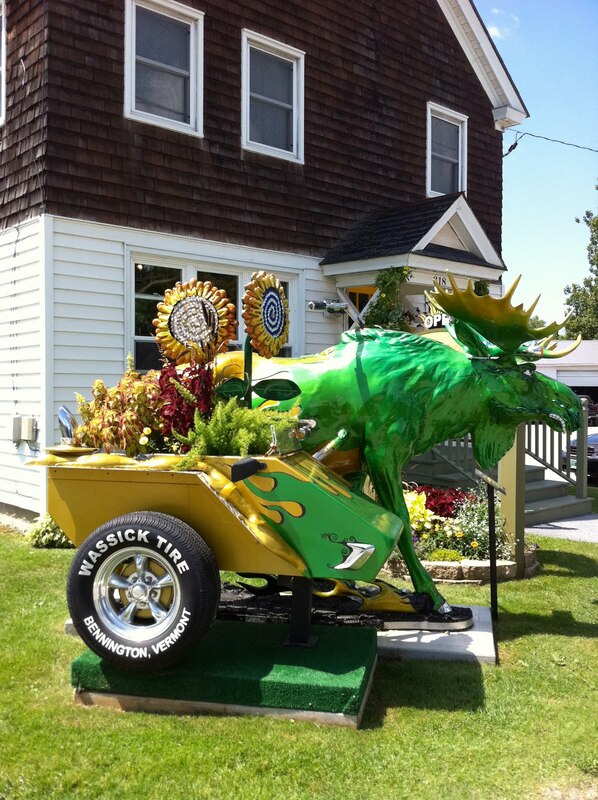 Have to chuckle at your Moose pics! 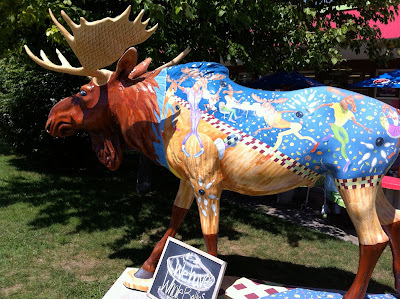 In Great Falls, Montana, they have a similar project, but they have Buffalo and the painting and decorating is amazing as well! 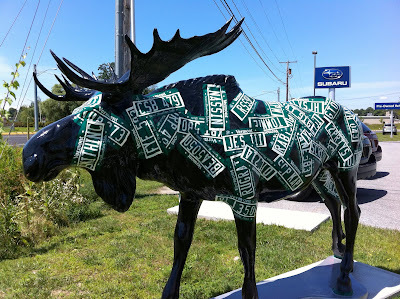 The Moose crack me up! We have horses all over Louisville since we are known for the derby. Stores adn business everywere have them! There is the Parent/Teacher Store horse, the Chik-Fil-A Horse, etc. It's great! !